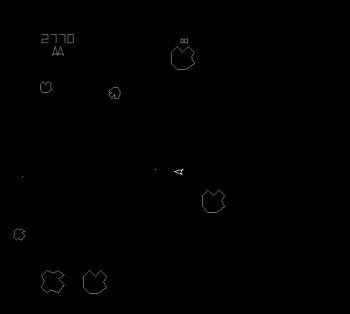 A gamer in Portland, Oregon has broken the high score record for Asteroids, a record that has stood for more than a quarter of a century. Some people are good at a certain game, some people are very good, and some are so good it starts to get a little scary. John McAllister played Asteroids for three days straight in his effort to bag the top score. Every few hours, McAllister would get up and walk around or eat something, sacrificing some of his extra lives in the process, until eventually he clocked up a score of 41,338,740, beating the previous record by 2,300 points. The previous total was set in 1982 by the, then 15, year old Scott Safran, and was the longest standing videogame record to date.